Polymer modeling clay in a softer, easier-to-knead form. Easier for children, though still firmer than other brands. Hardens when baked. Can mix with original Fimo. 43 bright colors, plus Night Glow (for 1 hour). 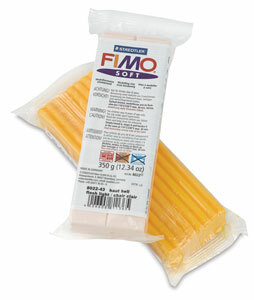 ® STAEDTLER is a registered trademark.® Fimo is a registered trademark.